Why Racing Events puts on some amazing running events, one being the Scary Run. 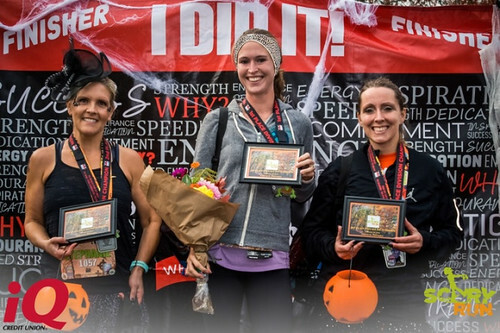 An epic race geared toward Halloween. Participants were encouraged to wear costumes. The mantra for this race is to “get out your Halloween costumes and be prepared to be scared out of your wits. If the running doesn’t increase your heart rate, being chased by monsters, zombies and psycho freaks will!” A race that includes being chased by monsters, zombies and psycho freaks, where do I sign up? This spooky race took place on October 28th, 2018, and I had the privilege to compete in the 10K race. The Scary Run has three different options for runners and walkers: a half marathon, 10K and 5K. And although they mention being chased by monsters, zombies and psycho freaks, it is a family friendly event. The race starts out at Reflection Plaza, in downtown Washougal, Washington. The courses for each distance are flat and fast. The 5K and 10K course are along the Washougal Dike for an out and back course. This is along the Columbia River, and offers some amazing views of the river and Mt. Hood. 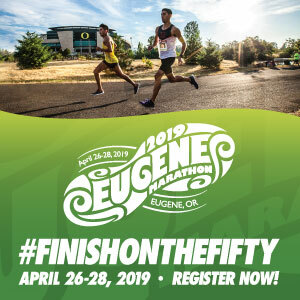 The Half Marathon starts out as an out and back, then returned towards the start and finish, before heading to the Washougal Dike where the 5K/10K course is. Then ending with a final out and back through the industrial area to finish the remaining miles of the race. There are a few different splits along the course, but each are well marked with signs and volunteers. All race distances are on an unpaved, non-technical trail. Before signing up for this race, I had no idea what to expect. 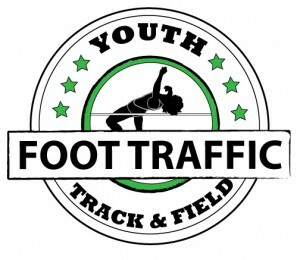 Looking at their website, prior to the race, I was given more than enough information for the upcoming race. The website even had a top 10 list of reasons not to miss the event. Some being, Halloween themed food and beer, swag, fundraiser for Friends of the Gorge, and the costumes. After signing up for the race, I was also sent an email explaining all the necessities for the race, location, times, ect. Race day quickly approached and before I knew it, race day was here. The weather called for rain, as it normally does this time of year. When I arrived in Washougal, it was not only raining, it was pouring. I was immediately flooded with all these thoughts and questions of “should I run with my rain jacket?”, “will I get too hot?”, “a half marathon in the rain, should I switch distances?”. I finally got out of my car and power walked to pick up my packet. I normally try and get my race packet not on race day, but unfortunately, I was unable to get to Vancouver the day before. Thankfully, the staff at Why Racing, had everything planned so smooth for race day packet pickup. 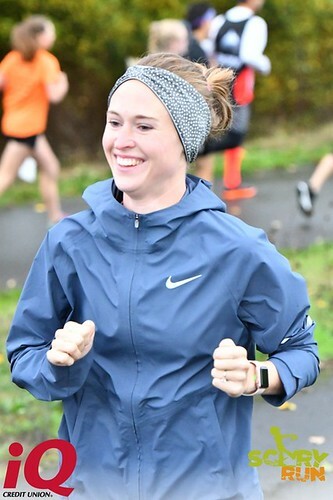 I picked up my race bib and spoke to them about switching my distance to 10K, (I have never switched a distance before, but the weather had me thinking that a 10K was more my speed). It was an easy switch and I was placed in the 10K race. Since I switched, my start time was now at 9:00 am, instead of 8:30am. I decided to check out some of the costumes. Everyone was dressed to the nines! There were super heros, zombies, witches, and even a few dinosaurs. Right before the races began, a “Thriller” dance broke out, and many people joined in the festive dance. Finally the 5K/10K was about to start and I made my way to the start line. Racers gathered around and waved to the drone flying overhead, when the countdown began….3, 2, 1, GO! We were off! The first 3 miles were filled with horrific monsters, jumping out at every sign/ tree, or whatever else they could hide behind. There were several occasions, when I was completely not paying any attention, when I was scared out of my wits, when the masked figures jumped out at me. I am sure this made my time much faster! The course was very flat and smooth. It also was very beautiful and had great views of the Columbia River. There was even one part of the race where the sun had peaked through the clouds and reflected against the river. Such amazing scenery. The miles seemed to fly by, probably due to the monsters and zombies along the course. The volunteers were great and cheered participants along the way. There was also many aid stations offering gel, water and Gatorade. I couldn’t believe when I looked down at the mileage signs and saw that the race was almost done! I sprinted the last section of the race and crossed the finish line. I was immediately handed my Zombie Medal and greeted by my family. Once finished with the race, I headed to some of the vendors. Franz Bakery was handing out loafs of bread and yummy grilled cheese sandwiches, Chucks was also there, and handed out some samples of chocolate and some swag. All the vendors were extremely nice and patient with my 3 and 5 year old, who wanted nothing more than to spin the prize wheel, “just one more time”. We then headed to get some tasty tacos, and soup, which was included with race entry. They even gave each participant two free drink tickets, major score! Lucky for my husband, who joined me in a post race beverage from Deschutes Brewery. Next it was time for the awards, they first announced the 5K winners, then the 10K and finished with the half marathon participants. There was a great podium for the winners to stand on, decked out in scary decorations. Once the announcer finished the 5K winners, he moved on to the 10K. I was shocked to hear my name! I placed first in the female champions category with a time of 44:23 (7:10 pace), and 3rd place overall. I was handed some pretty amazing prizes too! A first place zombie medal, a framed 1st place plaque, a backpack full of goodies and swag, a trick-or-treat pumpkin (that was immediately snatched by my 5 year old) and a bouquet of flowers. The next day, I received an email from WHY Events, thanking participants and recapping the great race. It also highlighted the champions and I was shocked to find that my time had the new course record. I could not be more excited and humbled for a great experience and 10K race. I highly recommend running in the Scary Run 2019. Mark your race calendar for next year, we all know that I will!